Buy The Witcher 3: Wild Hunt - Game of the Year Edition and get the games download now! NOTE: Activation key must be used on a valid GOG account. Requires internet connection. 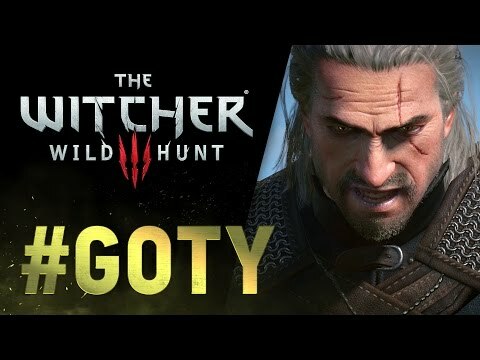 The Witcher 3: Wild Hunt is the final episode of the award-winning RPG series and the last part of the legend Geralt of Rivia. The title is the most robust, most stunning of all CD Projekt RED games. The free exploring of the open world is an adventure itself - the player will find war-disabled landscapes, sail through misty waters and run down monsters for money. An improved combat system will allow him to act as a true monster hunter, as sorcerers who survives with its particular sorcerer senses and superior fighting skills in a dark fantasy world in order to finally complete his mission and save the ones he loves. The gameplay of The Witcher 3 allows a complete immersion into the Witcher world. There are no Quicktime events - but intuitive RPG gameplay. The Witcher 3: Wild Hunt is a unique blend of non-linear storytelling and open game world. In this fantasy RPG the decisions of the players, tactical battles and a vibrant game world are in the foreground. The Witcher 3 tells the compelling story of Geralt of Rivia, a professional monster hunter. Demanding main and side quests offer over 100 hours of gameplay - The Witcher 3 thus defines the RPG genre for the next generation new.